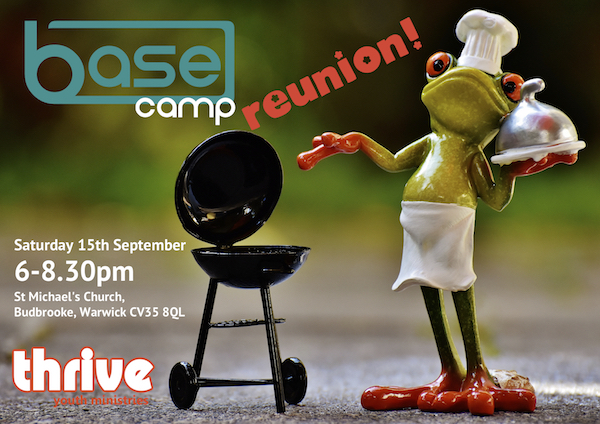 When we held our most recent youth weekend away back in February, there was a clear enthusiasm for meeting up again so we have come up with the Basecamp Reunion on Saturday 15th September. Basecamp was the theme of the weekend away, where we explored how church is like a basecamp – a chance to be refreshed, re-equipped and to be sent out. This reunion happening in September is for all young people, aged 11-18, whether they came on the weekend or not, and for all youth leaders. 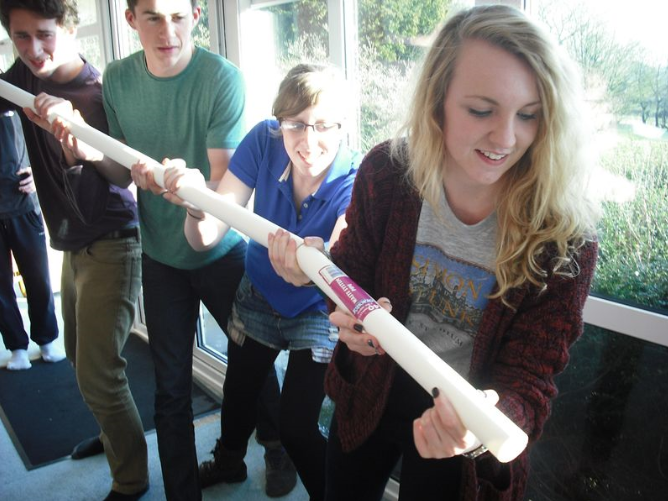 There’s going to be a BBQ as people arrive and some outside games to get involved in. Then there will be a time of worship together, followed by some teaching and a response time. It will be typical of the sessions that we have on a weekend away. We hope that those who came away in February will want to come and join in, and reconnect with friends they made on the weekend. We hope, too, that they will bring others from their churches who didn’t come on the weekend, so they can get to know others. We will also be providing information on the next youth weekend away at the reunion. We have booked to go to the Pioneer Centre once again from 1st-3rd February 2019. Keep the dates in your diary! The reunion is a free event but we would ask for a donation to be made towards the cost of the BBQ, if possible. For more information visit our reunion web page. It's not what you can't do, it's what you can! © 2018 Thrive Youth Ministries is an associated trust of Scripture Union | We are an independent registered charity no. 1145794 | Thrive Youth Ministries is not responsible for the content of external links from this website and cannot guarantee it's appropriateness or quality. Website by Edge House Solutions using Wordpress.